Put an email signature at the bottom of all of your email messages in Microsoft Outlook 2016. In Outlook, select “File“ > “Options“. Give the signature a name. Any type of name will do. Click “OK” when done. 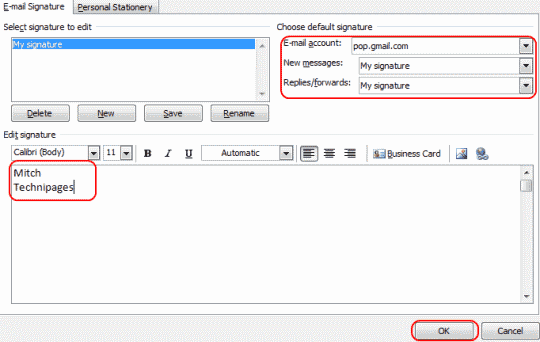 Under the “Choose default signature”area, select the “E-mail account” you wish to apply the signature to. Also select the name of the signature in the “New messages” and/or “Replies/forwards” fields as desired. In the “Edit signature” area, write the signature just as you would like it to appear in your messages. Click “OK“, then “OK” again and you’re done. Your signature will automatically be added to the bottom of your email messages. 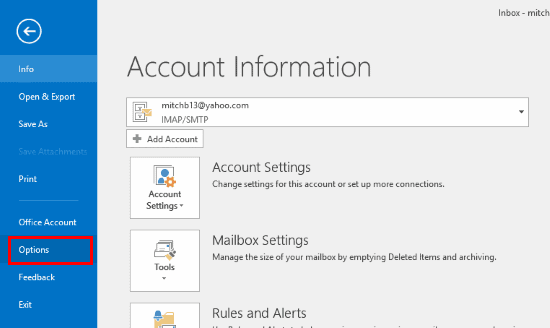 Login to your OWA account. Select the gear icon in the upper-right corner, then choose “Options“. Select “Settings” on the left pane. Set your signature under the “Email Signature” section. Check the “Automatically include my signature on messages I send” box if desired. Select “Save“, and you’re done. I set my signature, but it keeps changing. What’s going on? If you’re using Outlook within a corporate environment, your IT department may be setting your signature for you. Their changes overwrite any changes you make. Talk to the folks in your IT department to see if there is a way around this policy.